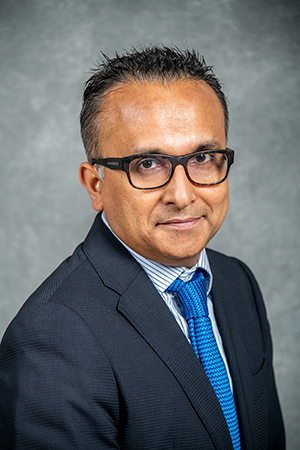 Ravi Prasher has been appointed Associate Laboratory Director for Energy Technologies at the Department of Energy's Lawrence Berkeley National Laboratory (Berkeley Lab). The announcement follows an international search. Prasher, an internationally renowned scientist in the field of thermal energy science and technologies, has been director of Berkeley Lab's Energy Storage and Distributed Resources (ESDR) Division since 2015, where he has led the Lab's research on batteries, fuel cells, and grid modernization. He is also an adjunct professor in the Mechanical Engineering Department at UC Berkeley. The Energy Technologies Area (ETA), which includes ESDR, does research and analysis in a wide variety of areas, including building technologies, energy storage, renewable energy, manufacturing science and technology, and sustainable transportation technologies and tools. ETA research has enabled billions of dollars in energy savings and currently has a staff of more than 400 people. "The Energy Technologies Area applies the scientific capabilities of the Lab to grand national challenges, like building a more resilient infrastructure and boosting American competitiveness," said Berkeley Lab Director Mike Witherell. "Ravi's strong background in engineering research and his broad experience in government and industry make him perfectly suited to lead ETA." "ETA's strength is its breadth," Prasher said. "It really is quite unique; we have experts in everything from applied materials science at one end of the science spectrum, to people who really understand how to integrate renewable resources to the grid as well as the systems science. This science-to-systems approach is really what is needed if you want to do something big and impactful in the field of energy." The previous Associate Lab Director for Energy Technologies, Ramamoorthy Ramesh, decided to step down after four years in order to focus on his research. He will be leading a major Lab initiative in advanced microelectronics (read more below). He will also remain in his position as the Purnendu Chatterjee Endowed Chair in Energy Technologies, and as a professor in both the Materials Science & Engineering and the Physics departments at UC Berkeley. As ESDR director, Prasher emphasized collaborations across Berkeley Lab, UC Berkeley, and DOE's national lab complex. This includes working with the National Renewable Energy Laboratory on developing a multi-institution collaboration for next-generation grid-interactive building envelope research with a discovery-to-devices theme and helping to create and manage a roll-to-roll multi-lab collaboration funded by DOE's Advanced Manufacturing Office. He developed new research areas in the division, including membership in DOE's DuraMAT (Durable Module Materials) Consortium and the U.S.-India Collaborative for Smart Distribution System with Storage. Prasher has worked closely with ESDR scientists on development of advanced energy storage technologies in support of the mission and goals of DOE's Vehicle Technologies Office in the Office of Energy Efficiency & Renewable Energy. Prasher hopes to pursue even stronger relationships with other researchers, both inside and outside Berkeley Lab. "ETA has a tight connection with the basic and computational science part of the Lab as well as UC Berkeley," he said. "I'd like to build it up even further, including cross-collaborations within the Lab and also with other UC campuses. The Lab's focus on the water-energy nexus, for example, where you have a huge need for both basic science research and translational research, is a great opportunity." Prior to joining Berkeley Lab in 2015, Prasher was the vice president of product development of Sheetak Inc., a startup developing solid-state thermoelectric energy converters. Earlier, he worked as one of the first program directors at DOE's Advanced Research Projects Agency-Energy (ARPA-E), where he created programs for cooling/heating of buildings and thermal storage. Prior to joining ARPA-E, Prasher was the technology development manager of the thermal management group at Intel, where he led the first demonstration of chip-scale hotspot cooling using superlattice-based thermoelectrics. He was also an adjunct professor in the school of engineering at Arizona State University from 2005 to 2013. Prasher's research at Berkeley Lab is focused on engineering phonon and photon transport for various energy applications, such as building thermal insulation and water desalination, manipulation of entropy and enthalpy for thermochemical energy storage, and in operando thermal characterization of electrochemical batteries. Prasher co-leads Highly Efficient Advanced Thermal Energy Research, a DOE Big Idea. An author of over 90 publications, Prasher holds more than 30 U.S. patents in thermoelectrics, microchannels, heat pipes, thermal interface materials, and nanostructured materials and devices. Prasher is a fellow of American Society of Mechanical Engineers and a senior member of the Institute of Electrical and Electronics Engineers. He serves on the editorial committee of Nano and Microscale Thermophysical Engineering and the American Society of Mechanical Engineers' Journal of Heat Transfer. He holds a doctorate in mechanical engineering from Arizona State University, and a B.S. in mechanical engineering from the Indian Institute of Technology in New Delhi.